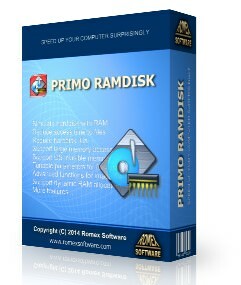 Primo Ramdisk is the second generation of VSuite Ramdisk product. It brings new features and improved performance, as well as a friendlier user interface. 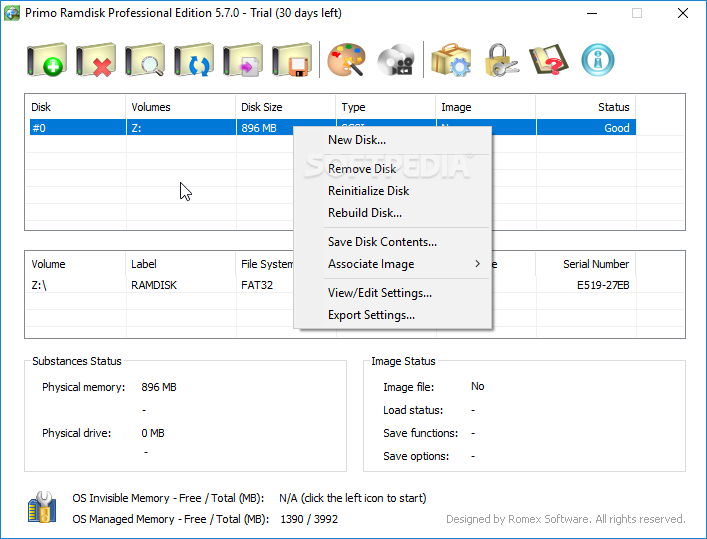 As VSuite Ramdisk did, Primo Ramdisk also provides a solution to speed up your computer by overcoming current hard disk bottleneck issue. It allows you to emulate hard disks using available physical memory. Because the access speed of physical memory is so much faster than most kinds of storage, this greatly speeds up your computer with reduced access time to files, which in turn, shows a huge improvement in overall performance. Medicine: Patch by MPT / Romex Software: Bundle Trial Reset v3.0 Release Fix — Not tested in this version! Trial reset links both go to something else besides a trial reset.